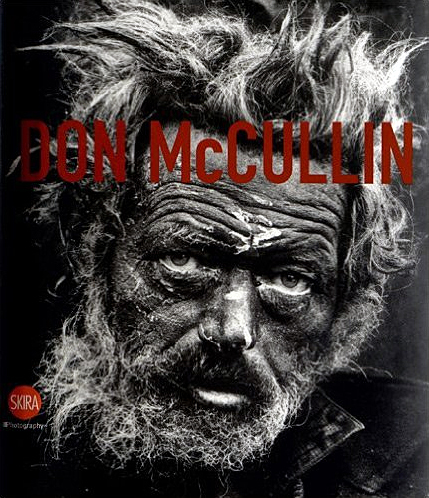 Donald (Don) McCullin, FRPS CBE is an internationally known British photojournalist, particularly recognized for his war photography and images of urban strife. His career, which began in 1959, has specialised in examining the underside of society, and his photographs have depicted the unemployed, downtrodden and the impoverished. McCullin's period of National Service in the RAF saw him posted to the Canal Zone during the 1956 Suez Crisis, where he worked as a photographer's assistant. He failed to pass the written theory paper necessary to become a photographer in the RAF, and so spent his service in the darkroom. In 1959, a photograph he took of a local London gang was published in The Observer. Between 1966 and 1984, he worked as an overseas correspondent for the Sunday Times Magazine, recording ecological and man-made catastrophes such as war-zones, amongst them Biafra, in 1968 and victims of the African AIDS epidemic. His hard-hitting coverage of the Vietnam War and the Northern Ireland conflict is particularly highly regarded. He also took the photographs of Maryon Park in London which were used in Michelangelo Antonioni's film Blowup. In 1968, his Nikon camera stopped a bullet intended for him. In 1982 the British Government refused to grant McCullin a press pass to cover the Falklands War. At the time he believed it was because the Thatcher government felt his images might be too disturbing politically. However, it recently emerged that he was a victim of bureaucracy: he had been turned away simply because the Royal Navy had used up its quota of press passes. He is the author of a number of books, including The Palestinians (with Jonathan Dimbleby, 1980), Beirut: A City in Crisis (1983), and Don McCullin in Africa (2005). His book, Shaped by War (2010), was published to accompany a major retrospective exhibition at the Imperial War Museum North, Salford, England in 2010 and then at the Victoria Art Gallery, Bath and the Imperial War Museum, London. His most recent publication is Southern Frontiers: A Journey Across the Roman Empire, a poetic and contemplative study of selected Roman and pre-Roman ruins in North Africa and the Middle East. In later years, McCullin has turned to landscape and still-life works and taking commissioned portraits. 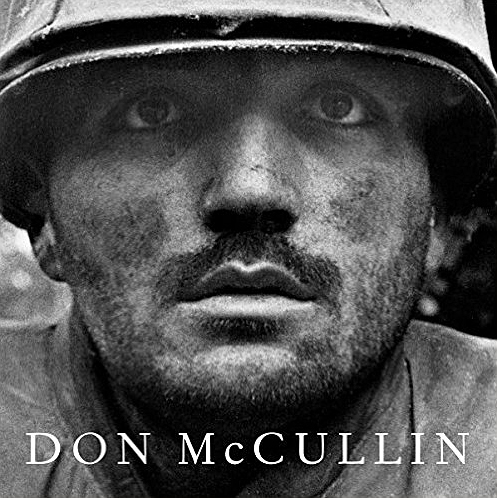 First published in 2001, this retrospective survey offers both an examination of Don McCullin's photographic career as well as a record of half a century of international conflict. 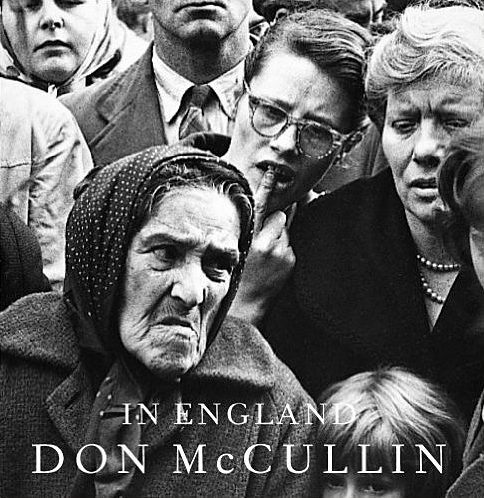 Coinciding with the photographer's eightieth birthday, this expanded edition of Don McCullin serves as fitting homage to a photographer who dedicated his life to the front line in order to deliver compassionate visual testament to human suffering. With texts by Mark Holborn, Harold Evans and Susan Sontag, and photographs taken by McCullin in England, Cyprus, Vietnam, the Congo, Biafra, Northern Ireland, Cambodia, Bangladesh and Beirut, this is an essential volume on one of the legendary photographers of the 20th century. "I have long admired Don McCullin's heroic journey through some of the most appalling zones of suffering in the last third of the 20th century," Sontag wrote in her essay. 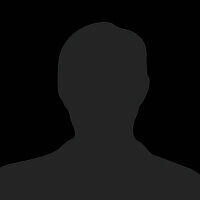 "We now have a vast repository of images that make it harder to preserve such moral defectiveness. Let the atrocious images haunt us Seeing reality in the form of an image cannot be more than an invitation to pay attention, to reflect, to learn, to examine the rationalizations for mass suffering offered by established powers." 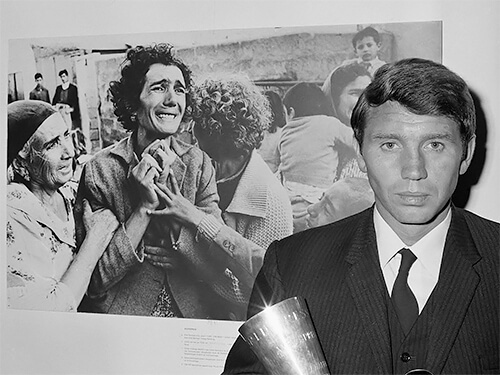 British photographer Don McCullin (born 1935) began his professional photographic career in 1959, and dedicated himself to photographing war, conflict, disease and poverty around the world, turning in his later years to landscape and still-life photography in his native England. An exhibition catalog that features an impressive retrospective, covering the last fifty years in chronological order. Don McCullin (born 1935, London) is one of the most important photographers of our time. For more than fifty years, his uncompromising black-and-white photographs have shaped our awareness and understanding of modern conflict and its consequences. His images tell the remarkable story of his life and work, including his most famous assignments in Berlin, Vietnam, Cambodia, Biafra, Bangladesh, and the Middle East. The Winner of the Warsaw Gold Medal and the World Press Photographer Award, he was awarded the ICP Cornell Capa Award in 2006. 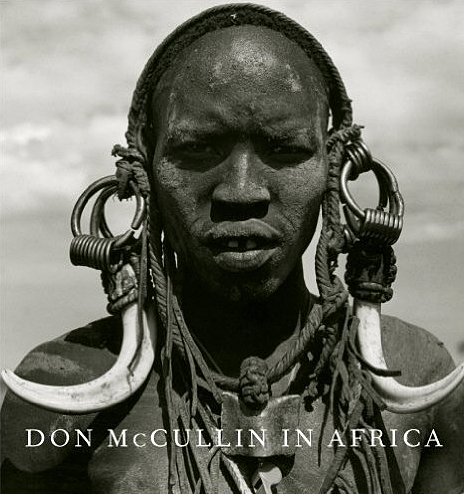 Key periods in McCullin’s life, including his early experiences of evacuation and the Blitz, his commissions from Berlin in 1961 and Cyprus in 1964, and his most famous work for the Sunday Times are here explored alongside more recent projects with Christian Aid, his photographs of last tribes in the Omo River Valley, South Kenya, and Irian Jaya, New Guinea, and, in the last few years, those of still-life and English landscapes at his home in Somerset. A photographic journey across the ruins and landscapes of the boundaries of the Roman Empire completes the volume. Don McCullin is one of the great photojournalists of our times. In recent years, his travels have taken him to some of the world’s remotest regions, and his skill and empathy have gained him access to tribes on the edge of civilization. Over the last two years, he has traveled from Addis Ababa in Ethiopia to the valley of the Omo River leading to the border with Sudan. There he entered the tribal lands of the Suma, the Gheleb, the Bume, the Erbore, the Bene, the Bodi, the Karo, the Hamar, and the Mursi. Beyond dignity, there is a heroic aspect to his subjects; we, the viewers, can be amazed by their strength and beauty, and all the more so because McCullin’s compassionate artistry enables us to understand their vulnerability.